President of Anchor Marketing Services, Inc.
Heather Demis, president and owner of Anchor Marketing Services, Inc., has an innate understanding of the impact color and design have on a corporate image, and consistently creates the memorable impression and the relevant sophistication required to reach a company’s target market. She works with new and existing businesses to create and maintain a unique and professional brand for their company, allowing them to be presented as trustworthy, experienced and competent,which in turn brings them more closed business. Throughout her life, Heather has been influenced by art and design, and artistic ability runs on both sides of her family tree. She grew up in Annapolis, Maryland, with a mother and aunt who both enjoyed artistic careers, and a sister who also works in the graphic design field. Heather graduated from Roanoke College in Salem, Virginia, with a Bachelor of Arts in Communication Arts, and a minor in Written Communications, and began her career designing specialty announcements, custom invitations and magazine ads. During this time, she found that the opinions she shared with her clients about colors and layouts were met with passion and enthusiasm, revealing her natural eye for color and design. 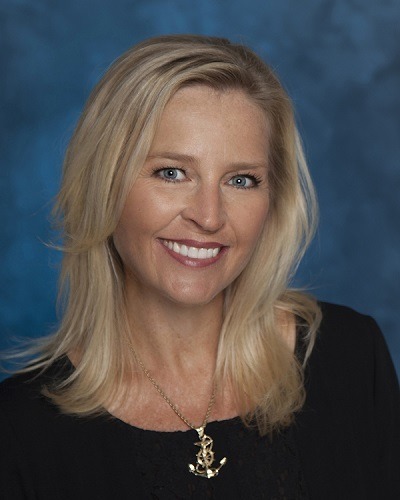 In 1992, she moved to Atlanta with her husband, Mark, and spent the next 13 years working in all aspects of the commercial printing industry, as well as the promotional products and branded apparel industries. In 2005, Heather started Anchor Marketing Services, which specializes in corporate image consulting and brand identity management services, including logo development and graphic design, collateral printing and fulfillment services, promotional items, website graphics, trade show merchandise, and branded apparel. With her own company, Heather offers a full gamut of corporate identity-building products and services for businesses across a variety of industries, with the understanding that “giveaway” items and apparel need to reinforce the brand and incorporate a level of quality that is consistent with the company image. Heather is active in her community, and has served on the boards of The Child Development Association of North Fulton, Senior Services North Fulton, and the Rotary Club of North Fulton (where she spent a decade as an active charter member). She also is past Chair of the Ambassador Committee for the Greater North Fulton Chamber of Commerce, and a graduate of Leadership North Fulton class of 2000. Heather is now an active Rotarian with the Alpharetta Rotary Club, and is currently a member of Women’s Success Network. She is a founding member of the Alpharetta Chamber of Commerce, serving on the Board of Directors, and chairs the Ambassador Program. She lives in Roswell with her husband and one daughter. Heather supports Milton High School’s Girls’ Lacrosse program, Furman University Women’s Lacrosse, She enjoys boating, tennis, cooking, traveling, and entertaining with friends.